NO HAGGLE ONE LOW PRICE! CLEAN CARFAX OFF LEASE, SERVICED AND INSPECTED. OVER $7500 BELOW KBB FAIR PURCHASE PRICE! PREVIOUS BMW CPO CAR, ONLY 29K MILES! This 640 Gran Coupe has is ALL MSPORT PACKAGE, MSPORT EDITION, DRIVER ASSISTANCE PLUS PACKAGE, EXECUTIVE PACKAGE, COLD WEATHER PACKAGE, NAVIGATION, BLUETOOTH, REVERSE CAMERA, 4 ZONE CLIMATE CONTROL, ALCANTARA HEADLINER, LED FOG LIGHTS, ADAPTIVE XENON HEADLAMPS, FRONT HEATED AND VENTILATED MULTI CONTOUR SEATS, POWER REAR SUNSHADE, HEAD UP DISPLAY, BLIND SPOT MONITOR, SPEED LIMIT INFO, and just so many more options! If you are in the market for a 6, THIS IS THE ONE TO OWN! OVER $90K NEW! BALANCE OF BMW FACTORY 4 YR/50K MILES BUMPER TO BUMPER WARRANTY. CERTIFIED Bumper to Bumper Extended Service Contracts Available. FINANCING AVAILABLE, TRADE-INS WELCOMED. 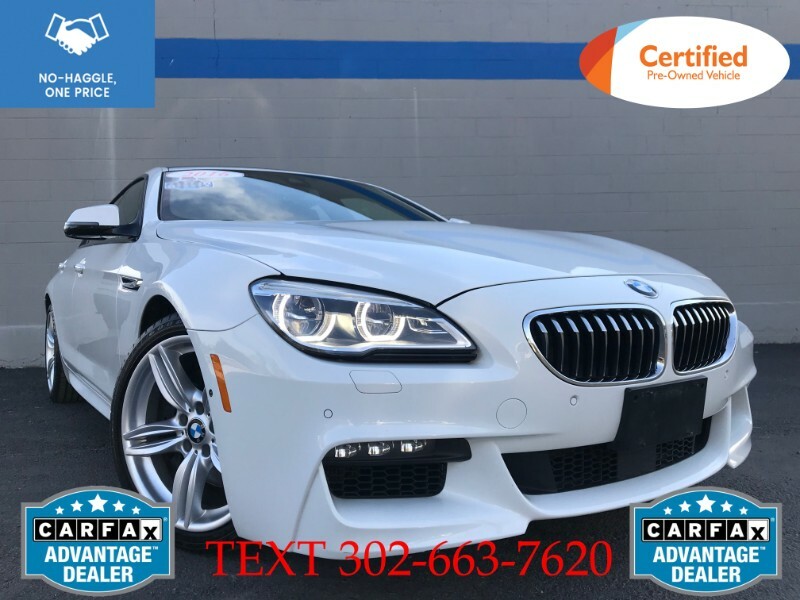 Call or Text 302-663-7620 Colonial Motors MOT 6001 Summit Bridge Rd., Townsend, DE 19734.